When Porsche revealed the new 718 Boxster, it appeared a matter of time before the Cayman would receive the same treatment. That time has come. 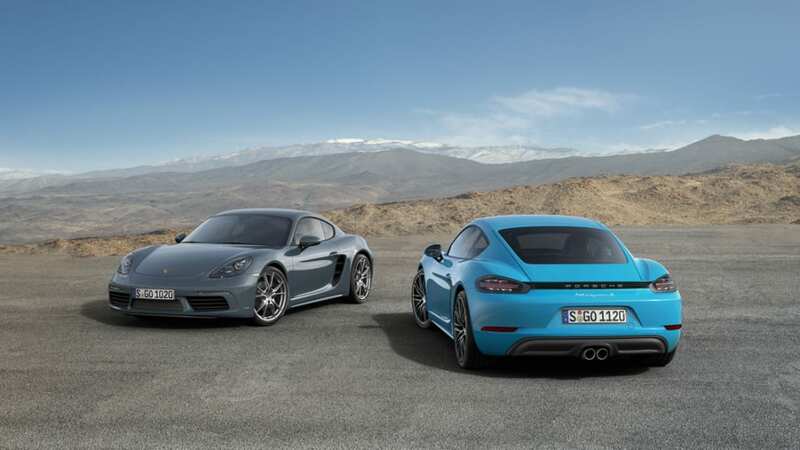 The Cayman is like the 718 Boxster, but with a fixed roof, and both models are now aligned under the same number plate. 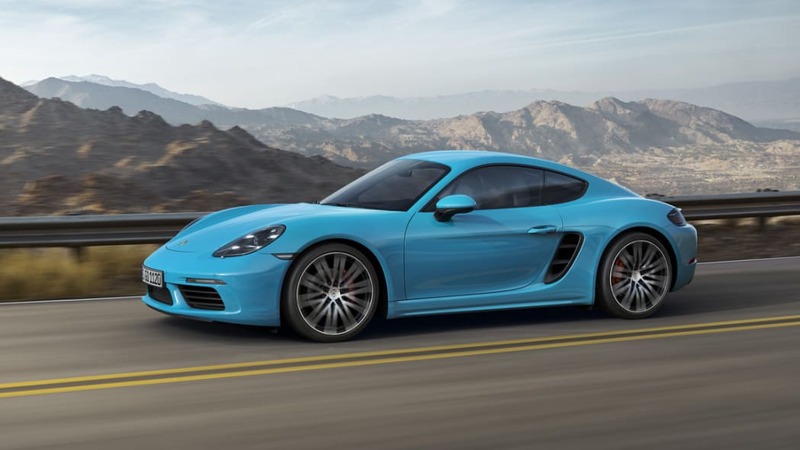 The biggest change over the outgoing Cayman is the arrival of turbocharged power. 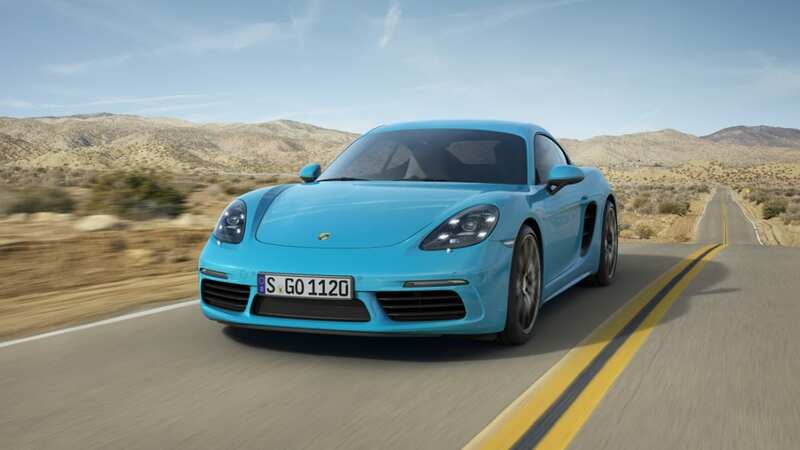 In place of the 2.7- and 3.4-liter atmospheric boxer sixes in the previous model, the new 718 Cayman offers a choice of turbo fours: a 2.0-liter unit in the base model good for 300 horsepower, and a 2.5 in the S version with 350 hp on tap – just like in the latest Boxster. Smaller, both the new turbo engines bring increases of 25 hp over the naturally aspirated engines they replace. 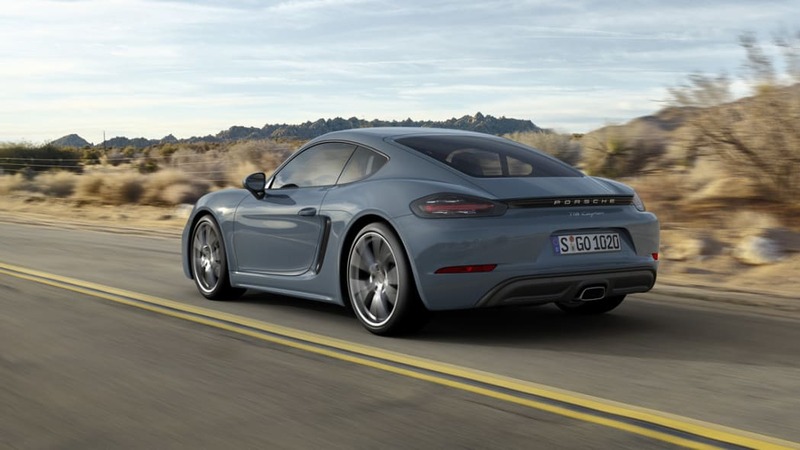 Torque goes up along with it – by 67 pound-feet in the base model to 280, and by 37 lb-ft in the Cayman S to 309. 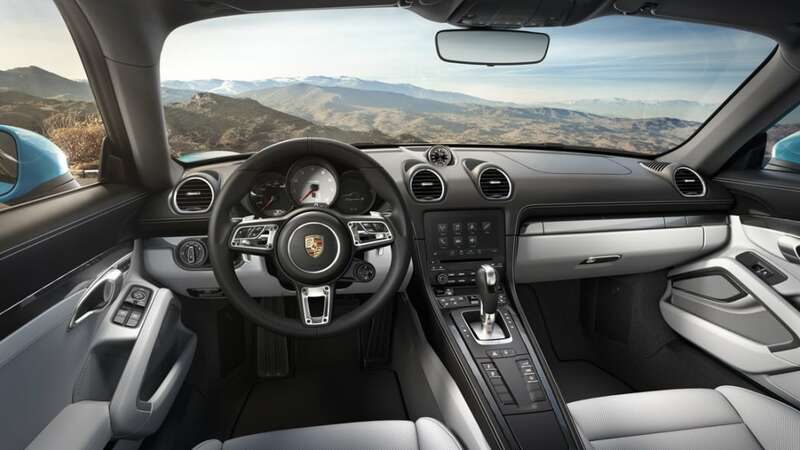 The extra muscle translates to a 0-to-60 time as low as 4.5 seconds for the 718 Cayman, or 4.0 flat for the 718 Cayman S, with top speeds clocked at 170 and 177 miles per hour, respectively. Of course, there's more to the new 718 coupe than what can be found under the engine bay. Porsche has retuned the suspension, tightened the steering rack, widened the rear wheels, and enlarged the brakes. It's all wrapped in new bodywork and operated from a refreshed interior. US deliveries are set to commence in November, with prices starting at $54,950 (including the destination fee) for the base model and $67,350 for the S model. 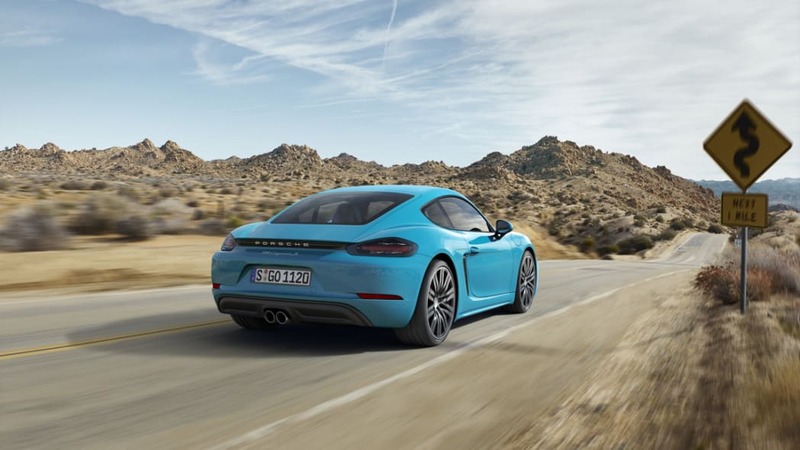 Those are just starting points, with key options like the Sport Chrono pack, torque vectoring, and active suspension promising to inflate those figures as rapidly as the new Cayman will cover ground. Performance enhancing options such as the Sport Chrono Package and Porsche Torque Vectoring (PTV) sharpen the sporty character of the 718 Cayman even further. Porsche Active Suspension Management (PASM) with a 10 millimeter reduction in ride height is also optionally available. Furthermore, the S model can be ordered with the PASM Sport suspension for the first time, which lowers the car by 20 millimeters. As in other Porsche sports cars, the Sport Chrono Package can now be adjusted using the Mode Switch on the steering wheel. Supplementing the previous settings of "Normal," "Sport," and "Sport Plus" is the "Individual" program, which can store and call up the driver's preferred settings. Due to the car's increased performance, uprated brake systems with 330 mm brake rotors at the front and 299 mm rear rotors are now standard. 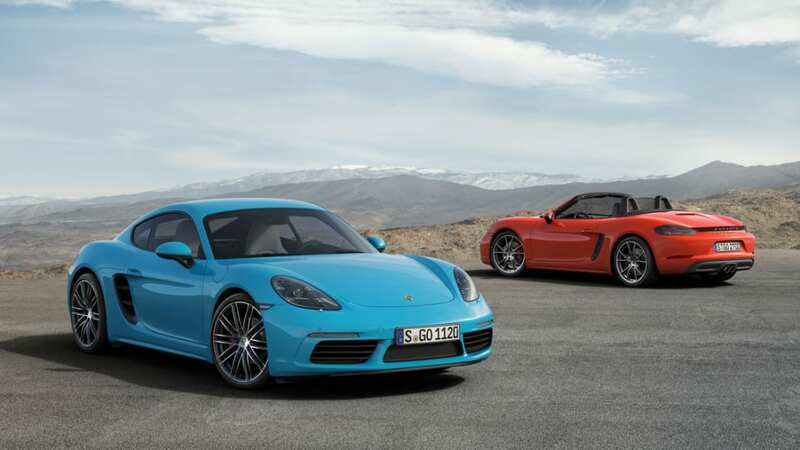 The 718 Cayman uses the brakes from the previous Cayman S, while the 718 Cayman S is equipped with the four-piston calipers of the 911 Carrera combined with six millimeter thicker front brake rotors. The 718 Cayman and 718 Cayman S are on sale now and will reach U.S. dealers in late November, 2016. 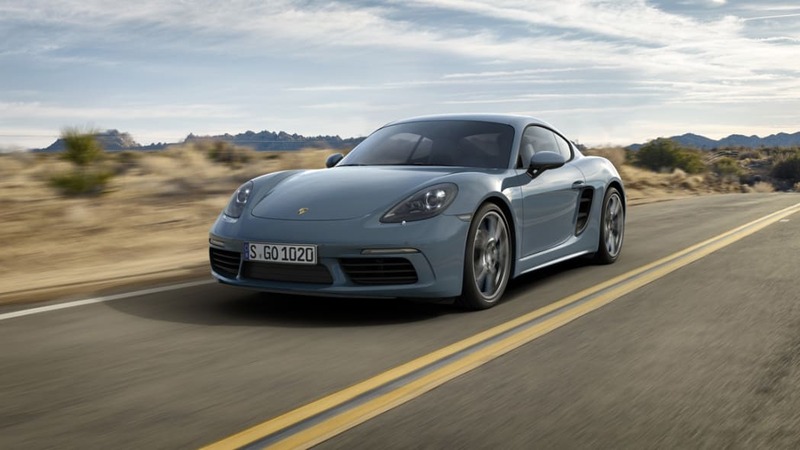 The 718 Cayman has a starting MSRP of $53,900, and the 718 Cayman S starts at $66,300, excluding the $1,050 delivery, processing and handling fee.